New Jersey mortgage loans can fall into one of three categories- conforming, conforming high balance and jumbo. Jumbo loans can also be called “non-conforming” because they don’t fall into the conforming loan limits set forth by both Fannie Mae and Freddie Mac. Each time the conforming loan limit changes, so too do minimum jumbo loan amounts. To understand jumbo loan limits, we need to first see how conforming loan limits are set. The Federal Housing Finance Agency, or FHFA, established a method that both Fannie and Freddie use to set conforming loan limits for the following year. Each October, FHFA reviews data on the median home value for the entire country and compares that amount with the data for the previous year. If there is an increase from one year to the next, the conforming loan limit will be adjusted accordingly. The loan limits are announced in late November of each year. If there is no year-over-year increase or if home values actually decline, there will be no adjustment. 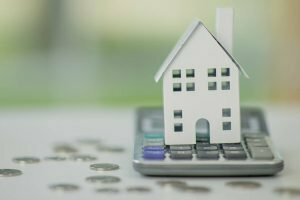 In areas where property values are much higher compared to most parts of the country, the conforming loan limit is raised to what is referred to as the “high balance” conforming loan limit. Between 2017 and 2018, median home values increased by approximately 6.0%. This increased the conforming loan limit for 2019 to $484,350 from $453,100. These figures are for a residential, single family home. For multi-unit properties up to four units, loan limits are higher. In general, jumbo qualifying guidelines will be a bit more stringent compared to a conforming loan. When a loan conforms to Fannie or Freddie guidelines, the loan is then eligible for sale in the secondary markets. The loan must meet these guidelines which also include a maximum loan amount. Selling a loan replenishes a mortgage company’s credit line, freeing up additional cash to make still more loans. But there is no such secondary market for jumbo loans. Instead, each individual lender establishes its own set of qualifying guidelines and. The jumbo lender enters into various agreements with mortgage bankers and mortgage brokers to market the lender’s rates and programs. Because there are no universal standards for a jumbo loan as well as no established secondary market in which to sell the loan, one lender’s jumbo guidelines can be a little different than another. Yet in general, they all follow the same basic requirements. Credit requirements are more strict with a jumbo loan compared to a conforming one. Most jumbo loan credit minimums start at 660 but others ask for a minimum score of at least 700-720 minimum. The exact minimum really depends on the buyers down payment amount. When a lender requests credit scores on a borrower, there are three separate requests made, one each to Experian, TransUnion and Equifax. These scores will be similar because they all three use the very same algorithm. Of the three reported scores, the jumbo lender ignores the highest and lowest score, using the one in the middle. So-called “alternative” credit generally cannot be used in conjunction with a jumbo mortgage. Alternative credit means monthly obligations of the borrower that would not appear on a credit report are tracked. 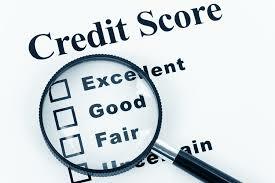 This includes non-credit report expenditures such as utility payments or mobile phone payments. There is no private mortgage insurance, or PMI, for most jumbo loans today. This applies to even the lowest down payment options of 10% and 5%. Read more about all the down payment and credit standards on the Jumbo Purchase page. However, the interest rate and terms are generally more favorable for borrowers that have 20% + down payment. There are also various “portfolio” type products that ask for a down payment less than 20-25% but the rates and fees are higher. Besides funds for a down payment and closing costs, jumbo loans also require “cash reserves.” Cash reserves are defined as the number of months of mortgage payments left in a liquid account the borrowers own after the loan has closed. The mortgage payment, or PITI, includes principal and interest, property taxes and homeowner’s insurance. If the total PITI payment is $5,000 and the cash reserve is 12 months, there needs to be another $60,000 in cash available beyond what is needed for the closing. Retirement accounts like 401K or IRA are often applied towards the lender’s reserves requirements. Jumbo loans can also require more than just one appraisal, especially when the loan amount exceeds $1M dollars. When two appraisals are needed, the lender will use the lower amount of the two. Interest rates for jumbo loans historically have been higher than conforming ones but over the past couple of years the rate spread between conforming and jumbo has narrowed. Finally, jumbo loan qualifying guidelines have relaxed somewhat in recent years. While still more stringent than a conforming loan, qualifying for a jumbo loan is much easier than it was five or six years ago. Please visit our home page to learn more about all the low down payment Jumbo financing programs available to New Jersey home buyers. Please call us at the number above, or just submit the Quick Call form to speak with a specialist 7 days a week. Proudly serving all NJ including Trenton, Newark, Jersey City, Paterson, Elizabeth, Bergen, Middlesex, Hudson, Ocean, Essex County.